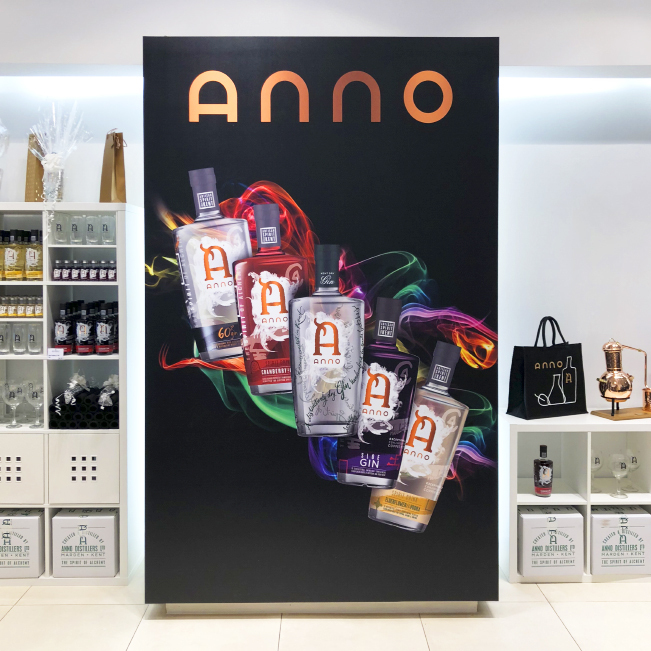 Design for Anno Distillers Bluewater pop-up shop, which won a highly commended in the Revo Opal Awards 2019. 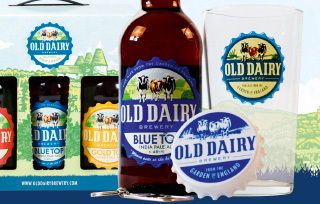 My work covered the shop interior and exterior, brochures, bags, signage and other branded materials. 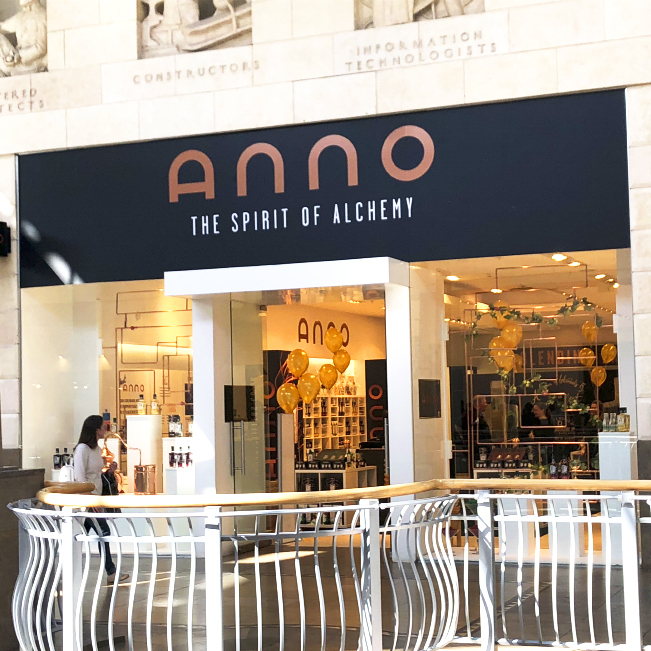 A three month pop up shop located in Bluewater for Anno Distillers. The launch required all new products designed. 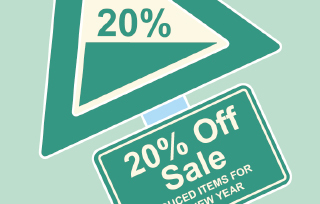 I worked with signmakers, manufacturers and printers to create POS, marketing materials, shop interior elements and infographic boards. 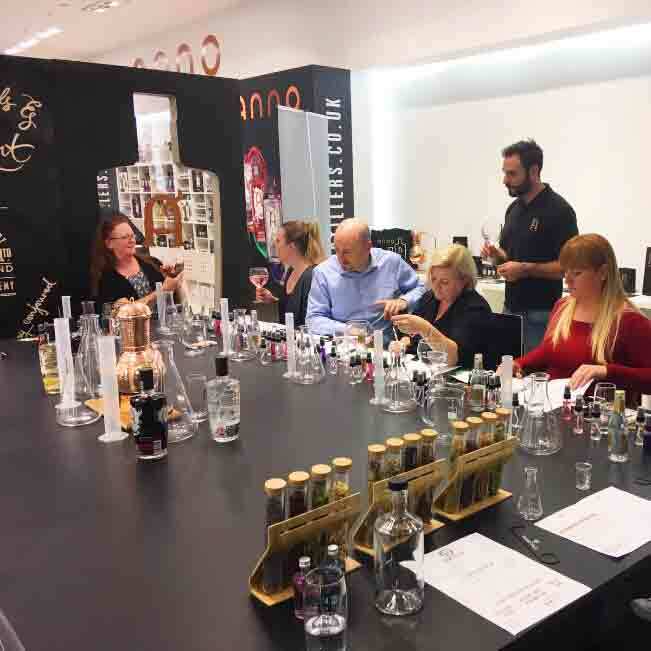 I also worked on branding the gin blending experiences, including personalised bottle labels, booklets, worksheets and certificates. 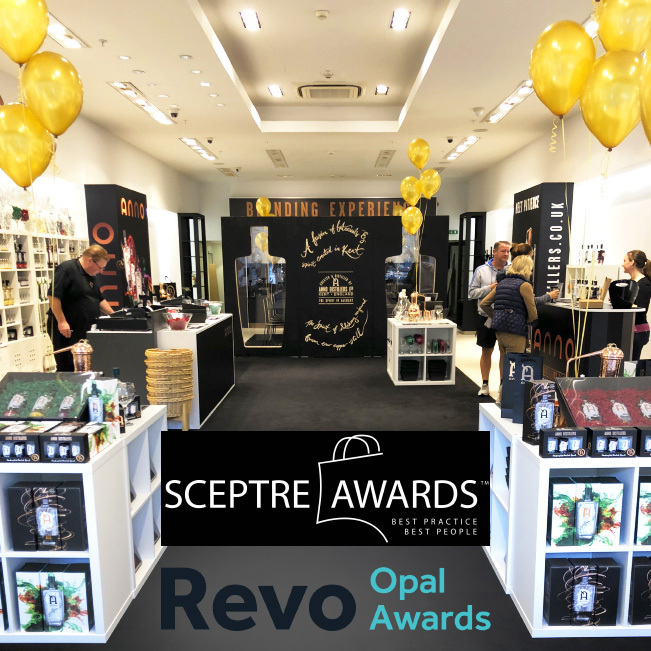 Winner of a highly commended in the Revo Opal Awards 2019, Pop Up Shops/Temporary Lets category, in partnership with Landsec. Medium: Jute bags, carved wooden and perspex paneling, printed crystal laminate, wrapped printed foamex, litho printed booklets, foil stickers, copper foil vinyl, dye sublimation labels, etc.